When we created the coffee bar we understood what we wanted, but we also knew our limitations. ... there, we said it! We've learn't from experience visiting other cafes that having an extensive and complex menus leads to 3 painful consequences; 1) the ingredients cannot be fresh (or if so, there is a whole lot of waste) 2) service is slow and cumbersome & 3) flavour is largely absent (or driven by salt/MSG/other nasties). We keep our menu small but very much flavour driven. True flavour comes from very high quality ingredients combined intelligently. The whole cafe team is obsessed with coffee (Richard makes sure of this)! Striving to find consistency and quality in espresso based coffee is one of the most difficult things to achieve and through continual training and investment in both staff and machines*, we try our very best to get there. We work with Brock from Badger & Dodo coffee roasters to develop our own unique house blend (cleverly entitled "Counter Punch" - see what we did there ;)) which we think is the perfect balance of sweetness (from the Brazilian element) and acidity (from rather expensive fresh crop Ethiopian beans). We are also a multi roaster, stocking "guest" coffees from around the world to retail in 250g bags and also for use in our Brew bar. *for the fellow coffee geeks we use a Puqpress tamper, a Nuova Simonelli Mythos One Climapro grinder, a La Marzocco Linea AV coffee machine and VST 19 gram baskets along with Acme tableware. 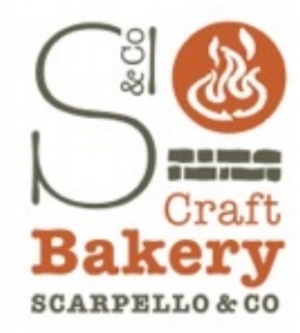 We are blessed to have Scarpello Food Co less than 20km's from our premises. Kemal and the team produce what we think is the best sourdough bread in the land, so it forms the basis of a lot of our food menu. From simple toast with butter or jam or as an accompaniment to our breakfast frittata in the morning though to being a key ingredient in our toasted sourdough sandwich with Filigans (from Glenties, Co Donegal) caramelised onions and Fivemiletown Goat's Cheese with dressed leaves. These ingredients are not cheap, but they are worth it, and when combined cleverly, form taste combinations that are truly memorable. Combine that with homemade soup, our signature Avo on Toast (with our secret recipe red pepper hummus)! and home bakes (including our mother-in-law's Oozey Lemon slice) and you've got the perfect food and coffee to fuel your conversations!